Once the domain of sailors and bikers, tattoos have become the latest celebrity must-have. 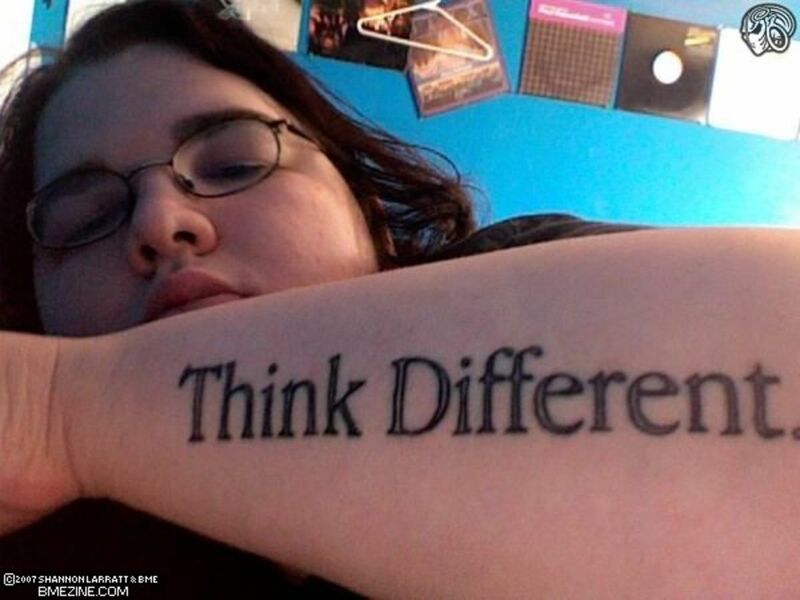 But it's not only the 'beautiful people' succumbing to the charms of a little ink. 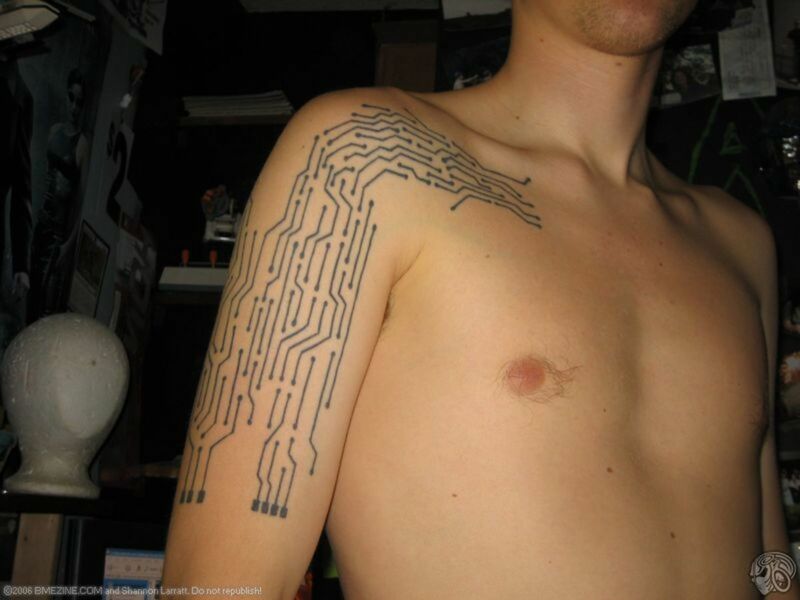 'Geeks' worldwide are now making their own mark in the world of tattoo chic.Forget Celtic bands and Chinese symbols, for these guys it's all Pi and binary code. Computer boffins and science fanatics are increasingly becoming emblazoned with Apple trademarks and scientific language. 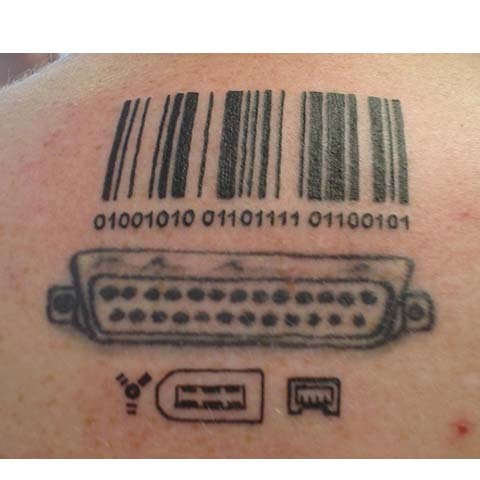 USB computer cables, the Pi equation and a symbol for the now-ancient Commodore 64 have all made appearances in the world of 'geek' tattoos. 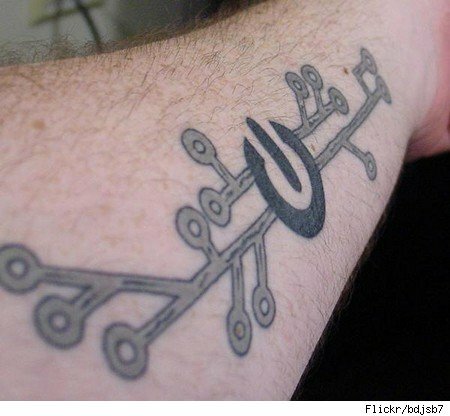 As one tattooed computer expert told the Telegraph: "I got a tattoo last year to celebrate my company's launch of a new piece of software. 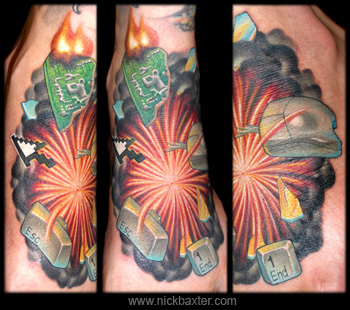 "I plan on building my software tattoo collection in the future, and then having a more recognisable 'geek' ink." 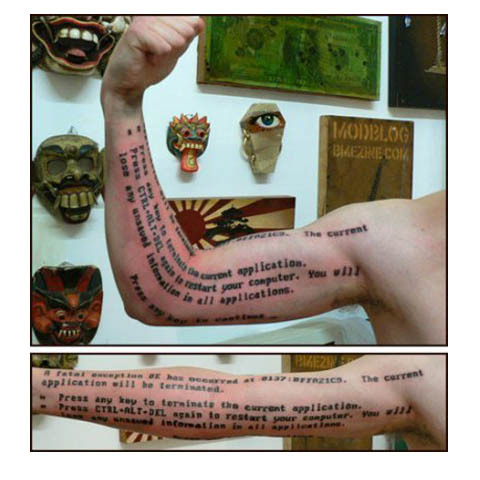 And in true geek fashion, another explained: "I am a geek and I like tattoos. 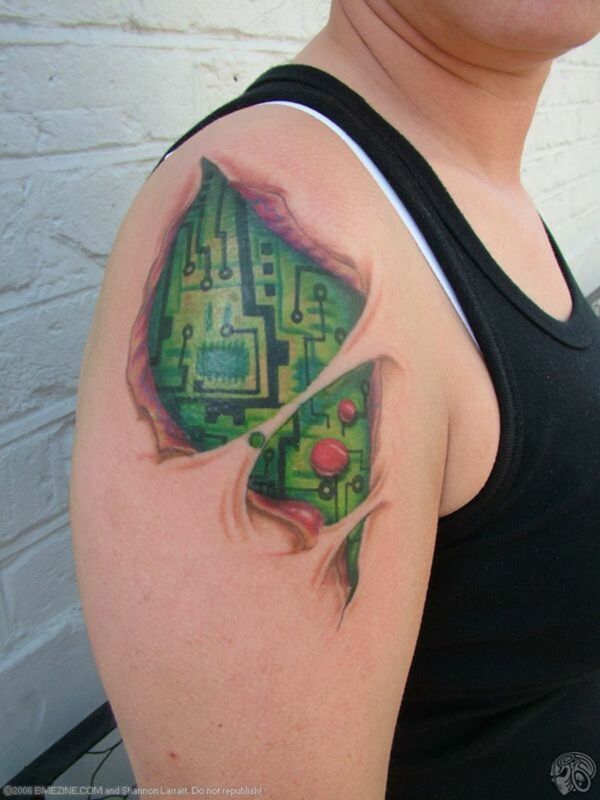 "Put them together and you get geek tattoos. 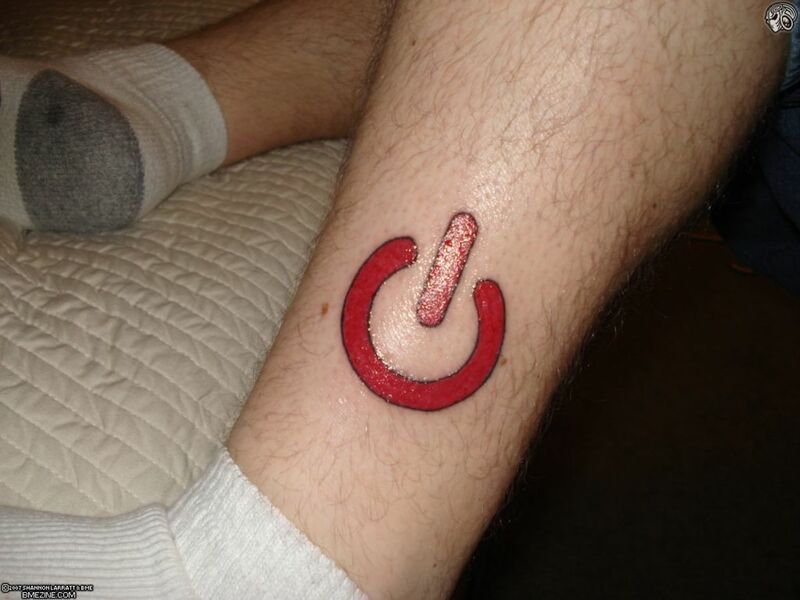 I have wasted countless hours on the internet looking for the funniest geek tattoos." And we suspect thousands of others are just about to join you.